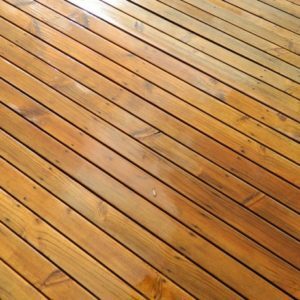 Sealmaxx Siliconate Wood Sealer – is a penetrating sealer that creates a permanent effective seal against moisture, acids, time and weather. It is ideal for wood decks, wood siding, fences, log homes, and more. It will minimize deterioration, inhibit mold growth, and increase wood strength and density up to 30%. This wood sealer comes with a 10 Year Guarantee, which is the replacement of sealer to any area that deteriorates after application. The quality of the wood determines the effectiveness of the sealer. Our warranty includes Material and Labor.